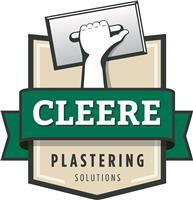 Cleere Plastering Solutions - Plasterer based in Slough, Berkshire. Offering a reliable, friendly and trustworthy service, Cleere Plastering Solutions ensures all work is carried out to the highest of standards. With over 15 years' experience in the industry, I also lend my experience by teaching Plastering at East Berkshire College. - Magnetic plaster coverings, great for one wall in the kitchen or nursery. We pride ourselves on our high level of customer care and attention to detail. Our preparation is as important as the job itself, so we will always protect your property and work very cleanly. Having a family myself I understand how important that is. All of us who work here at Cleere Plastering Solutions have a minimum of 5 years’ experience and are qualified with a Plastering NVQ level 2. Call me today for advice/site visit/free quotation.